Micro Credits – Leben und Lernen in Kenia e. V.
Many of the LLK children are orphans – mainly AIDS orphans. They live with relatives or friends of the family, who can usually hardly provide for themselves. So that our children are not left to their own devices and land up on the streets, we began the foster parent project. Foster parents who take care of these orphans receive an interest-free micro-credit from us. This helps to create a basis for self-employment to pay for food and rent. 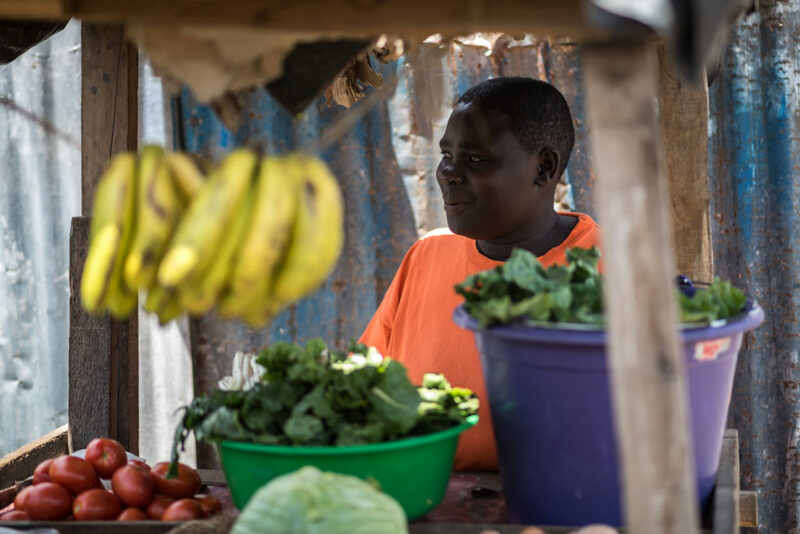 The micro-credits are often invested in kiosks selling vegetables and fruits, coal and second-hand clothing. We were also able to help one or the other farmer’s wife with an interest-free microcredit for a crop failure. Foster children are well cared for by their new families without family having to worry about where their next meal is coming from. A separate network has also been established under the foster parents, through which they exchange views and help each other. All families who have received a micro-loan are monitered after by our social workers and visited regularly. The businesses are doing very well for most of the families and they are working hard to keep their small businesses moving forward. As aprime micro-credit example, here is a family that received a micro-credit from a sponsor: The family bought a sheep and a cow – as the business grew they were able to open up a small vegetable stall. The family is living a much better life than before and the entire family, including foster children, are overjoyed with the results. The re-paid funds are used for new micro-credits for other foster parents and AIDS inflicted parents – or given to the family once again to expand their business. In this way we also help AIDS-inflicted parents to become self-employed – receive medical care and live longer – to watch their children grow.